Islamic Center of Kent (ICK) is a centrally located Masjid in the city of Kent, WA and is currently serving families in Kent and the surrounding cities of Covington, Renton, Federal Way and Auburn. The center provides daily prayers, Jumah, Eid prayers, and many other religious and educational services. 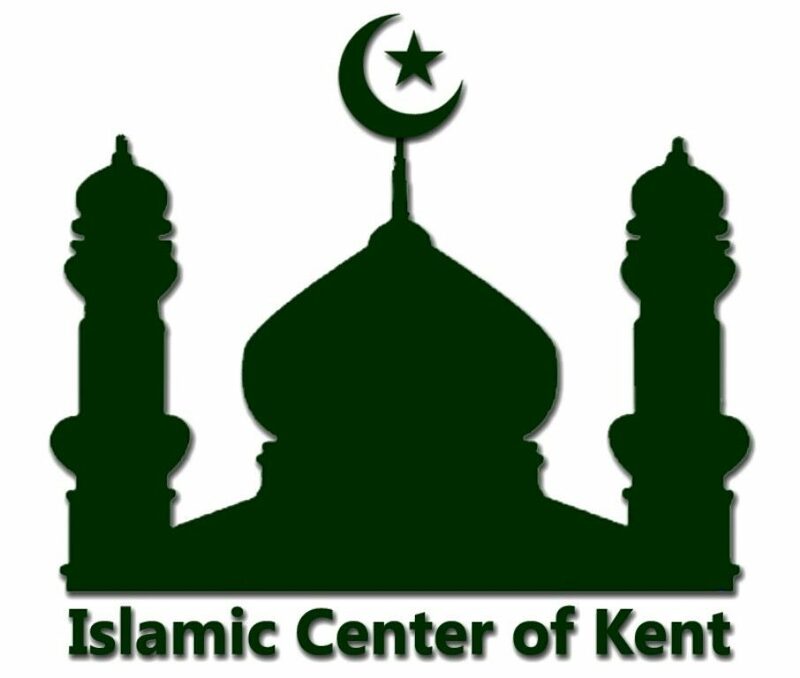 ICK is seeking to provide in this site, information about Islam and other Muslim services for the Kent-Seattle community and beyond. We pray that Allah (SWT) find the information contained in this site pleasing to Him. Appeal: ICK appeals to all musallees to support the New Masjid Complex and Islamic School with your dua and generous donations. 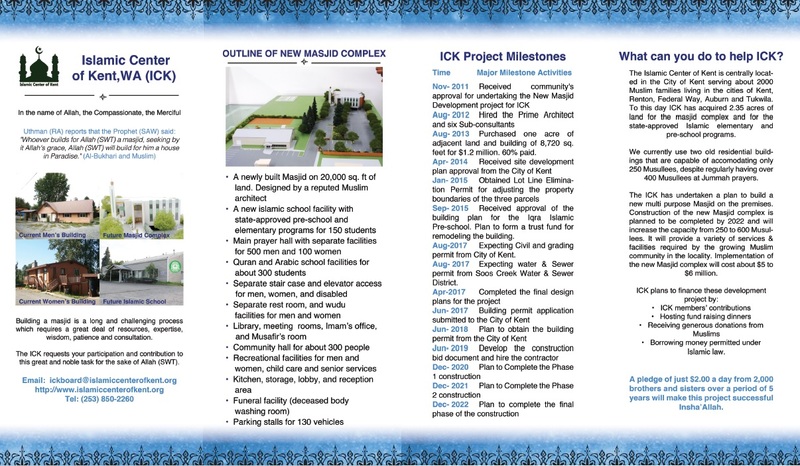 ICK has been working on the much needed New Masjid Complex and Islamic School. Alhamdulillah we are in the final stages of the getting all the necessary approvals and permits from the City of Kent. We request you or someone who can help build the masjid to make dua and donate genorously. You can review the more details about the project here here. For any further details, send an email to ick-ec@googlegroups.com. We are greatly thankful to you for your generous donation and continued support in the past. Once again, the ICK requests your kind participation and contribution to this great and noble task for the sake of Allah (SWT). Please donate generously for Remodeling, Expansion and New Masjid Project. Tax receipts can be provided on request.